The age of entitlement is over in Australia — except for the dominant fossil fuel industry and those rich enough to be able to buy political patronage. Deputy editor Sandi Keane reports. Treasurer Joe Hockey urges all of us to “share the pain” for his confected “budget emergency”, but, sadly, ‘sharing’ isn’t in the fossil fuel industry’s playbook. Big Carbon has always balked at sharing profits from Australia’s mineral wealth. In stark contrast to Norway, where a miningtax of 78% has resulted in a sovereign wealth fund twice the size of its GDP, Australia’s effective tax rate for foreign multinational miners is a mere 13%. Instead, whilst crying poor, the mining industry managed to stump up $22 million for an anti-tax campaign and, in 2010, bring down a prime minister — Kevin Rudd. This week, Australia’s dominant fossil fuel industry threw down the gauntlet to Hockey’s razor gang after it threatened to trim the luxurious 38% diesel fuel tax rebate. The speed and the manner in which Hockey and Abbott caved in left most in little doubt about who really governs this country. According to The Australia Institute, the fossil fuel industry receives more than $10 billion per year in government subsidies, with the mining industry hogging most of it. The diesel fuel rebate or Fuel Tax Credit Scheme, is worth $4 billion per year. It might have been designed originally for farmers, but the lion’s share goes to the mining industry. In 2012, nine out of ten people polled voted for the money to be redirected to health and education. But, unless you are one of the powerful business elites, you – sadly – have very little sway with this Government. Because miners and moguls run Australia. 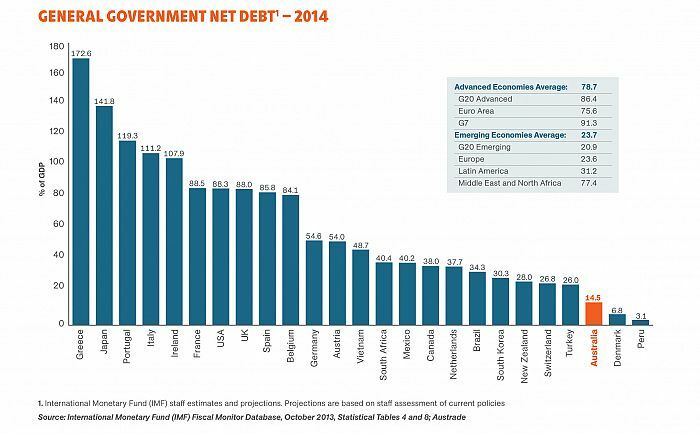 So we taxpayers will see just our pockets looted to reduce a budget deficit of just 15% of GDP — one of the lowest of any G20 economy. But for sheer chutzpah, you can’t go past the fancy footwork of the fossil fuel industry in response to the public’s outrage about the doubling of electricity costs — now one of the highest in the world. The energy companies have neatly sidestepped responsibility for overinvesting in poles and wires – a nice little rort as we shall later see – by taking their cue from the Abbott playbook and blaming the Renewable Energy Target (RET) and the carbon price. But the Australian Energy Regulator (AER) disagrees with the energy companies. It sheets the problem of increased electricity costs straight back to the networks’ “gold plating” of poles and wires, which makes up 50% of the average household bill. By contrast, the RET adds a paltry 4 per cent and the carbon tax 17%. The overinvestment in infrastructure has been a lucrative little earner for the energy industry. The networks are permitted to invest a dollar figure based on five year forecasts. For the years 2014-15, approval was given to spend $45 billion (compare that to the Rudd government’s $39 billion National Broadband Network described by present Communications Minister Malcolm Turnbull as “reckless and irresponsible”). In return, the networks are entitled to recoup the cost from the long-suffering householder. So, the more invested, the bigger the profit. Way to go… or so they thought. Thankfully, as reported recently by Renew Economy’s Giles Parkinson, the AER has started cracking down on rorting. It now requires Victorian network operators to base their expenditure plans on actual usage rather than forecasts. It’s a good start but the regulation system is a complicated one and progress will be slow. One outcome the energy industry hadn’t counted on was the growth of solar rooftops. The infrastructure profit bonanza started falling in a heap when the public wised up in tandem with the rising power prices. As solar doesn’t need over-priced poles and wires, that’s half the household bill saved for starters. That is, solar works best when the sun shines —when baseline power producers charge their peak tariffs and also when we turn our air conditioners on. Another piece of good news is that a bigger interconnecter linking the South Australian electricity market with Victoria will mean more wind energy coming Victoria’s way. As reported by Giles Parkinson in the same report, Victoria’s brown coal industry is resisting — fearing wind energy would drive their profits down further. And wind tends to blow at night — when solar goes to bed, creating a perfect storm for the coal industry. Wind is coal’s biggest competitor, while coal is the Liberal Party and National Party’s biggest donor — mostly through the Free Enterprise Foundation, the Cormack Foundation and the Greenfields Foundation, all set up with the specific purpose of laundering (mostly mining) donations. It is, therefore, no coincidence that the Abbott government plans to wind back the renewables industry. We’ve also seen how the wind industry was demonised in Victoria by the Baillieu – then the Napthine – Governments, resulting in approximately $3 billion in investment going offshore. Now Joe Hockey has picked up the chant, calling wind farms “utterly offensive”. We must assume by this that the insane experiment of CSG mining, with its legacy of worthless farmland and the toxic infrastructure, is more to his taste along with sulphur-belching coal-fired power stations. The news on rising gas prices is a similar example of the fossil fuel industry extracting favoured treatment over the Australian public by Federal and Eastern State Coalition and LNP governments. Householders in New South Wales can prepare for gas prices to take a 17 per cent hike thanks to LNG exports. Foreign-owned mining companies have been hoovering up all the gas to make killing by selling LNG on the higher priced overseas market. Unfortunately, greed resulted in them overcommitting and there simply isn’t enough gas to fulfill contracts. At one point, they even contemplated drilling under residential homes just outside Sydney. This cynical disregard for Australia’s domestic market was followed by the NSW Independent Pricing and Regulatory Authority’s decision to allow overseas prices to dictate what energy companies could charge the domestic market – effectively negating any benefit we could fairly expect from a resource owned and managed by the Crown supposedly on our behalf. The mining industry is not the big employer it claims to be. It destroys more jobs than it creates and tells outright lies about employment figures, such as APPEA’s dishonest claim to have created 100,000 jobs in 2012; the Australian Bureau of Statistics put it at only 9,372. According to a report by The Australia Institute, mining employs only two per cent of the workforce. 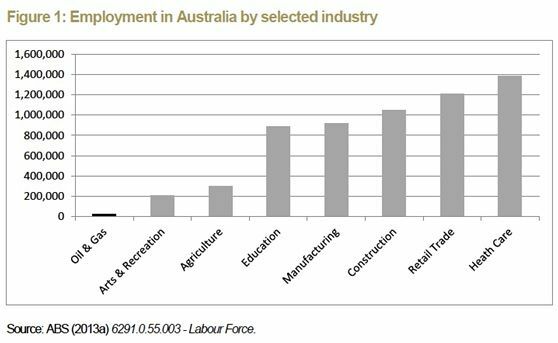 The boom in Queensland is likely to destroy one non-mining job for every two mining jobs it creates. The talks were organized by Germany’s development agency GIZ, the UN’s Environment Programand the International Monetary Fund. It was noted that most European countries have already cut their fossil fuel subsidies. There’s little chance of the Abbott Government following suit while its policy outcomes continue to favour Australia’s richest corporate elites in return for hefty political donations. At this point, donations – other than certain donations, such as from developers as in NSW – are not illegal. Until such time as there is a national ICAC and an appetite to clean up the corrupt practice of political donations being tied to favourable decisions, we know who really governs Australia — the miners and the moguls. Read also managing editor David Donovan’s The Commission of Audit pantomime and the Coalition’s big lie. Follow Sandi Keane on Twitter @Jarrapin. This article was originally published in Independent Australia on 6 May, 2014. This entry was posted in Climate Change, Mining, Politics, PR Spin by skepticslayer. Bookmark the permalink.